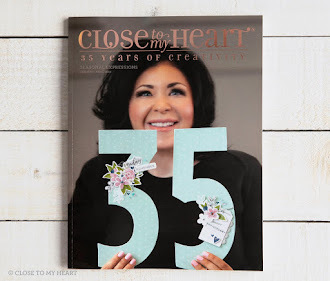 These cards were made using the January Stamp of the month. Inspired by Kathy Burrows. This set had lots of possibilities. 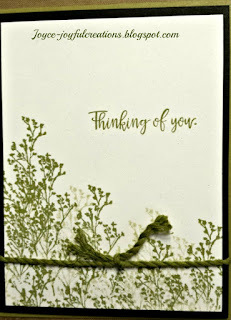 The favorite words on Tuesday was "thinking of you". 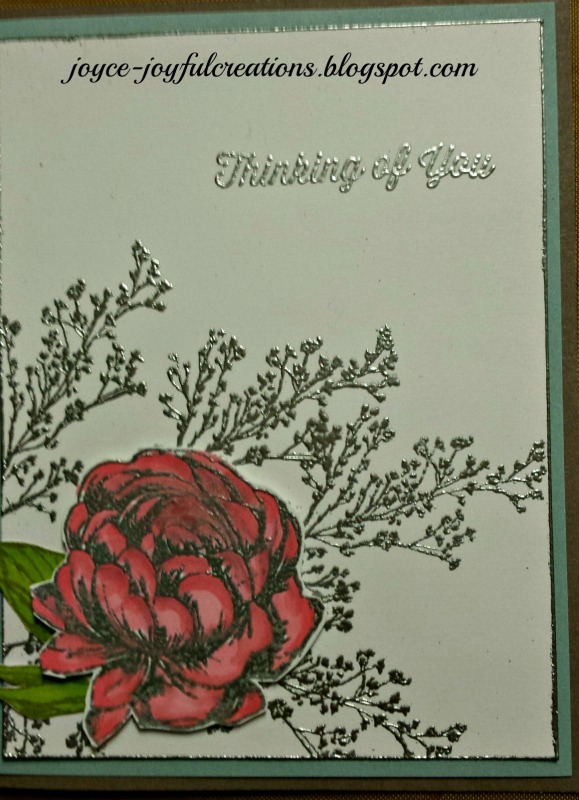 So many times we could be sending out cards just to let someone know they are in our thoughts. 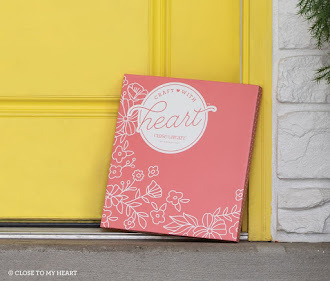 Who doesn't love getting (RAC) random acts of kindness cards. 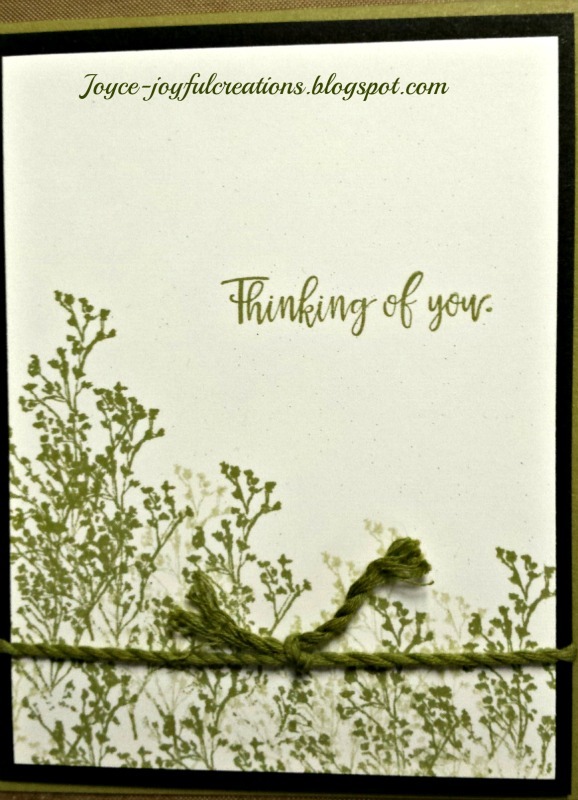 This card uses fern ink and the sprig from the Stamp of the month. S1513. Fern cs for the base cut at 4 1/4 x 11" (cropped out) black 4x 5 1/4" and col. white 3 3/4 x 5" to stamp on. Very fast and simple. Almost forgot added fern twine as an accent. Words are from the set also. This card was stamps in slate and colored in with colored pencils. We scribbled a small circle of yellow on scrap paper and picked it up with a waterbrush to add accents to the end of the sprigs. The large rose was popped. 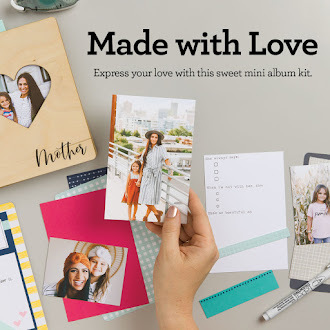 The words were from "Say it all" stamp set. 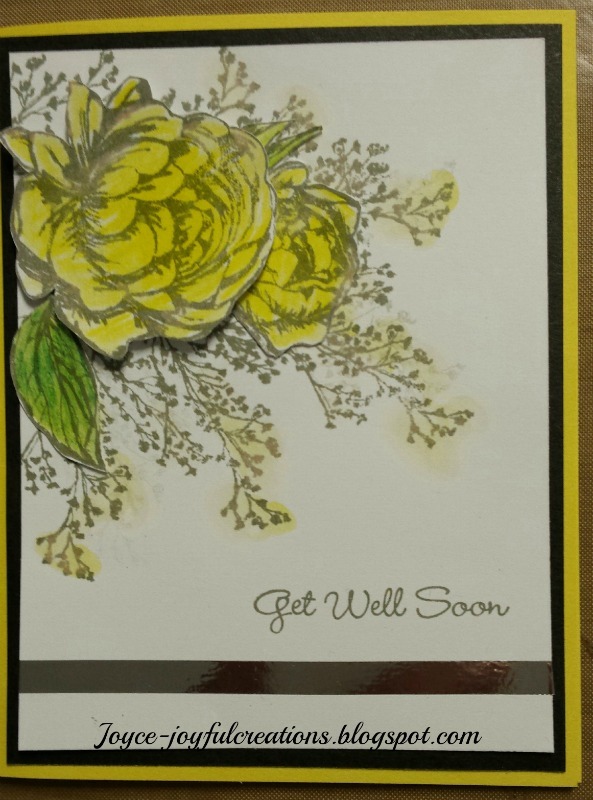 Silver foil tape was added under the Get well soon. 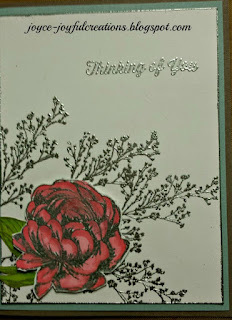 This card was made by embossing silver for the flower, the sprigs and the words. We also added silver around the edge of the white stamping piece. The rose was popped. Check back tomorrow when I show the two band aid cards I made.